Helping our clients achieve breakthrough success since 1985. Vector Group consultants identify, prioritize and resolve business challenges. We are leaders in organizational effectiveness. What’s missing from your M&A Due Diligence process? M&As fail up to 90% of the time due to culture clash. Vector Group invented Cultural Due Diligence (CDD) almost twenty years ago to increase the chances achieving post-merger success. Talk to us about CDD and how we can help you hit your financial targets. Our systemic and enterprise-wide assessment and organizational diagnosis capabilities will show you a real picture of your current business reality. We will help you get from where you are to where you want to be. Our turnaround experience traces back to 1985 when we formed our company after working with a global airline, British Airways. Involved from the earliest stages, Vector consultants transformed BA from “Bloody Awful” and the least favored carrier to The World’s Favourite Airline” and for a time, The World’s Most Profitable Airline. We do the same thing for other companies in other industries. Vector Group, Inc. is a global enterprise specializing in aligning cultural due diligence with infrastructure and strategy. The book that started it all. 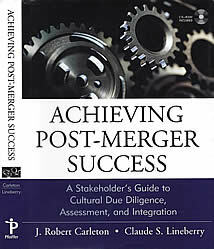 Authored by Founding Partners J. Robert “Bob” Carleton and Claude S. Lineberry, Achieving Post-Merger Success: A Stakeholder’s Guide to Cultural Due Diligence, Assessment, and Integration brings the reader groundbreaking critical elements necessary for successful mergers and acquisitions. With a planned revised edition incorporating an M&A Roadmap for Success, we offer even more powerful tools and approaches to take care of most “culture clash” issues in the first 30 – 60 days. 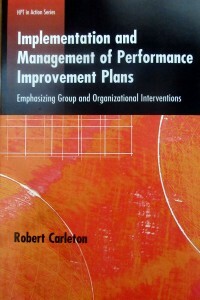 Bob Carleton’s newest book, Implementation and Management of Performance Improvement Plans: Emphasizing Group and Organizational Interventions, One in the series of six books that HRD Press describes as a defining series in business management and performance from an exceptional team of leading management professionals and educators.